So as you know I got the chance to sample all of Artisana’s Butter. 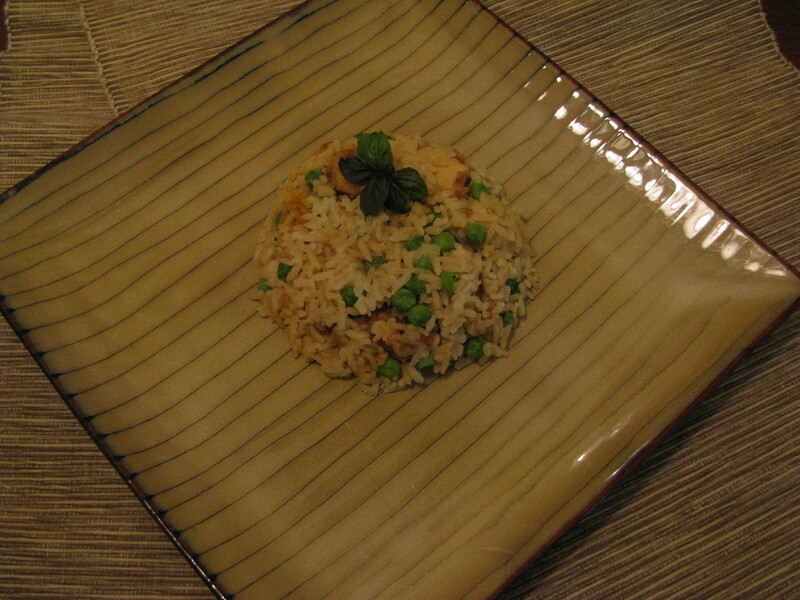 One night I decided to make a Coconut Butter Brown Rice. I mixed in some seared chicken and peas. The combination was outstanding. The coconut butter gave this dish sooo much flavor that you’ll go back for seconds. I will be sharing a lot more ideas in what to do with the Artisana Butters. So if you think that the butters are only good for bread, you are wrong. The options for cooking with the Artisana products are endless. Also don’t forget all the great benefits that you are getting while cooking with them. Keep posted on more ideas. I like this!!! I want to try this butter!!! Hi, So the coconut butter intrigues me a whole lot. I love anything with coconut products. I’m originally from Guam and coconut is an abundant around my house, so we tend to put it to use. At first glance I thought that you had made fried rice. But when you mentioned coconut butter, I was like that’s awesome! 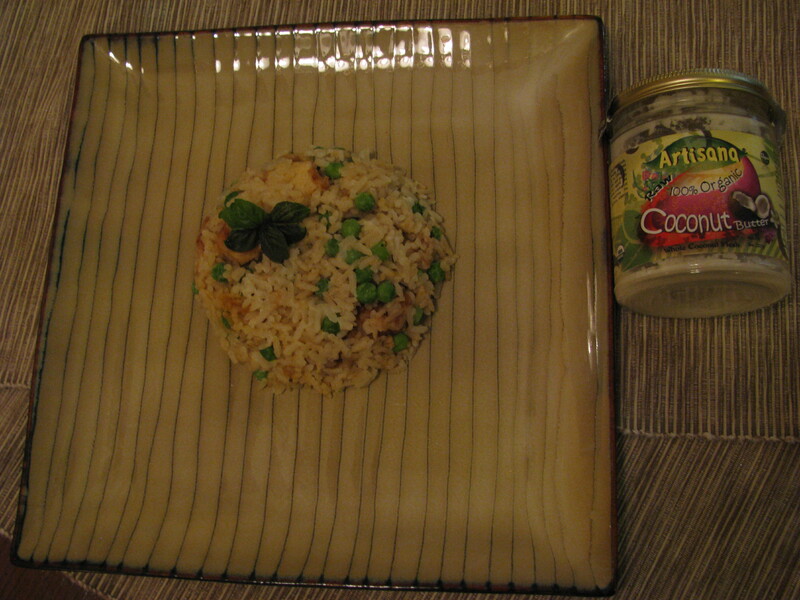 If you do enjoy coconut in anyway possible, I have a a recipe if you would like to try. It’s like soup but a dessert. In my language it’s called Ahu (a-who). It’s something like coconut dumplings in coconut broth or juice. But it is a recipe staple from Guam and its simply delicious. We usually made it on a rainy day and cold out. I hope you enjoy the recipe. Open and scrape meat out of the coconut. Grind meat until it’s very fine. Keep all the juice from coconuts. Boil coconut juice; measure 3 cups of coconut juice. Add 1 cup of water and 3/4 cups of sugar. Meanwhile. grind coconut and tapioca together. With a small spoon (tsp), scoop tapioca mixture and drop into boiling pot of water and coconut juice. after dropping mixture let boil for a minute and remove from heat.